Nothing rains on their parade quite like a cool sip of Water magic. If you've got the MP to spare, go ahead and make a splash! 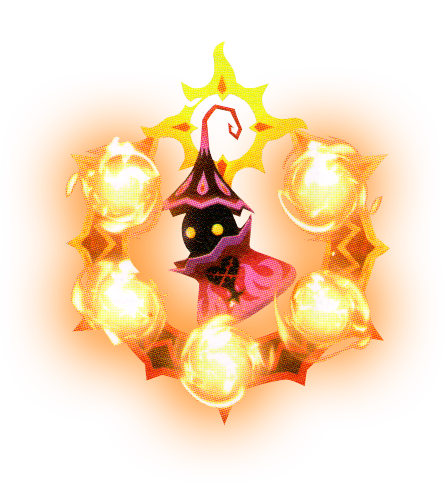 The Vermilion Samba is an Emblem Heartless that appears in Kingdom Hearts III.